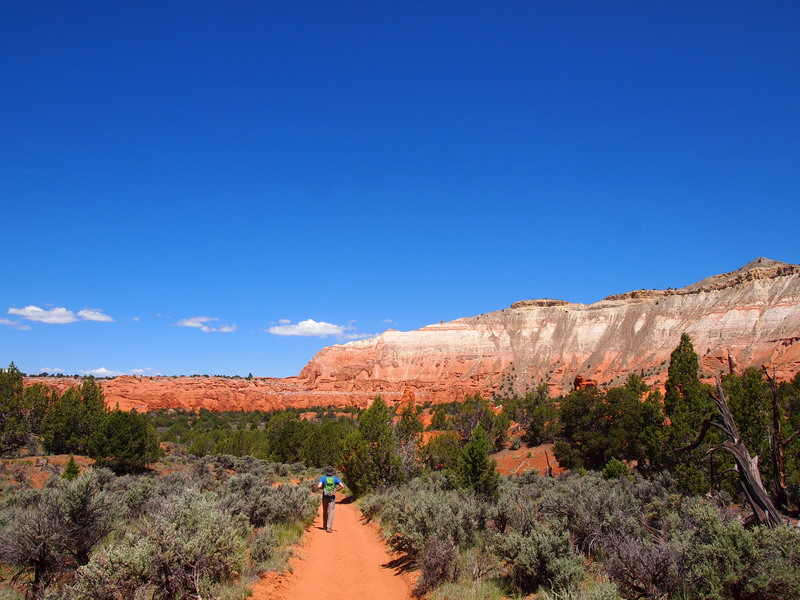 On Monday morning we packed up our campsite, sought out a latte in Escalante, and hit Byway 12. 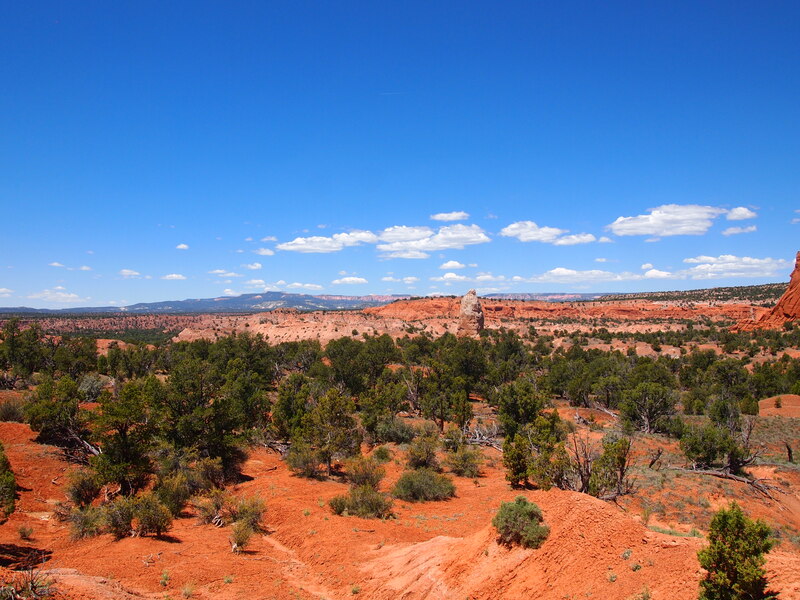 I wanted to fit in one more hike before we truly departed for Salt Lake, and I had my sights set on Kodachrome Basin State Park, just outside of Cannonville. 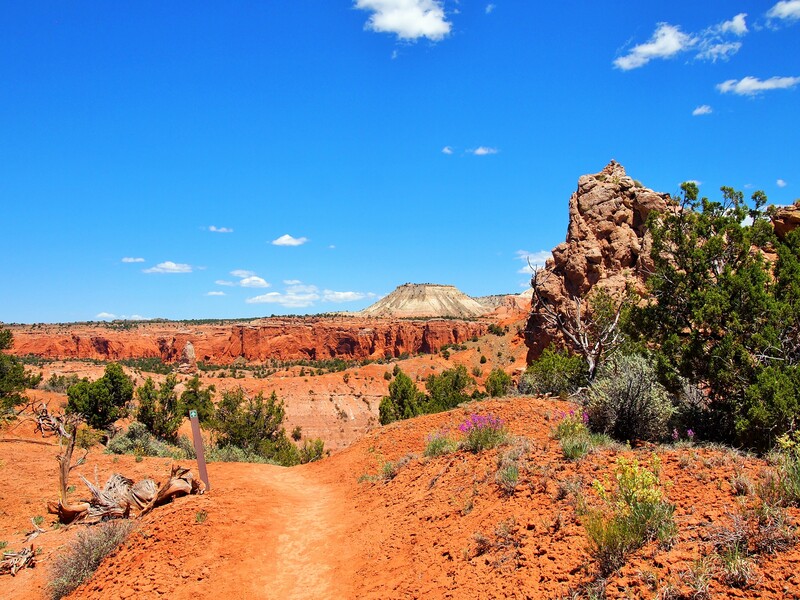 Kodachrome Basin State Park is ideally situated 20 miles east of Bryce Canyon NP and just outside the boundaries of Grand Staircase-Escalante and the Cottonwood Canyon Scenic Backway. 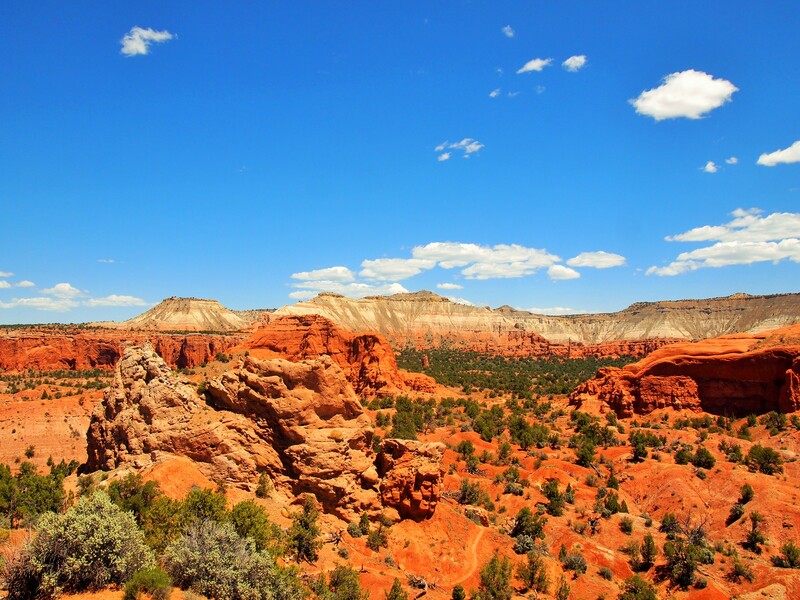 The park was named after Kodak Kodachrome film when a National Geographic Expedition to the basin in 1948 was inspired by the vibrant colors of the landscape. 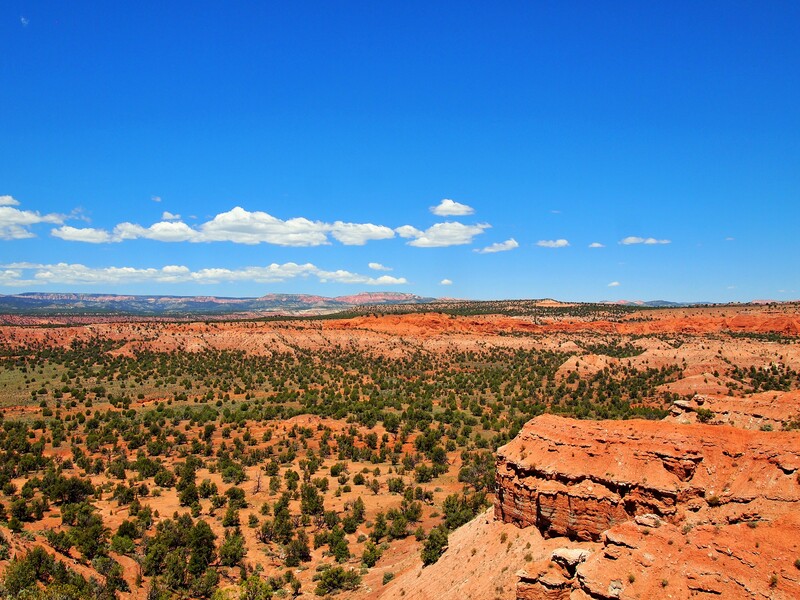 There are two campgrounds and trails for hiking, biking, or even horseback riding. 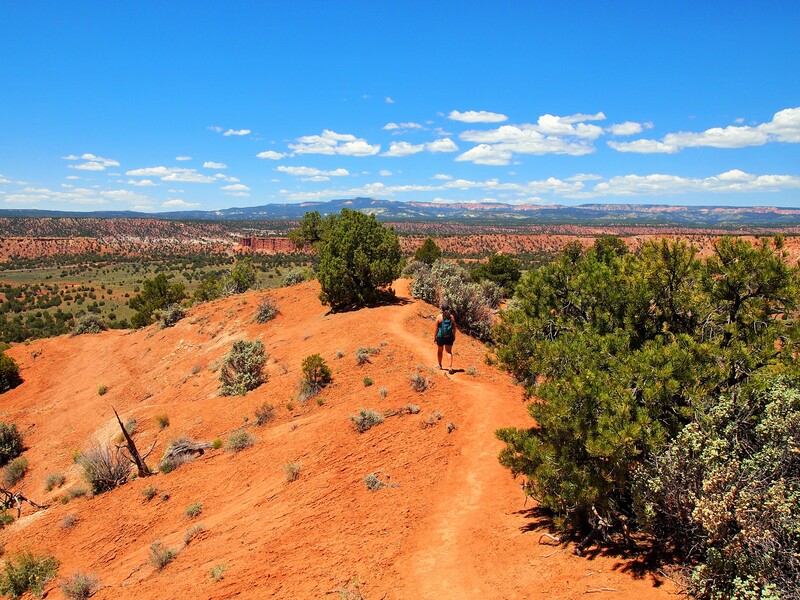 While there are a couple shorter trails, we chose to do the Panorama Trail to get as much bang for our buck as we could in our short visit. 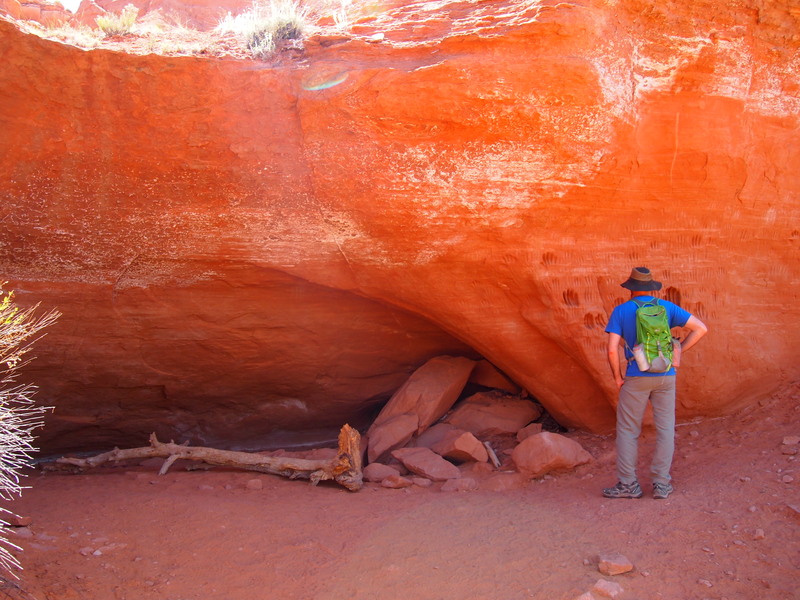 The full loop is 6 miles but we opted to do the shorter 3 mile loop and cut out the extension to Cool Cave and the side trip to Secret Passage – maybe another time. 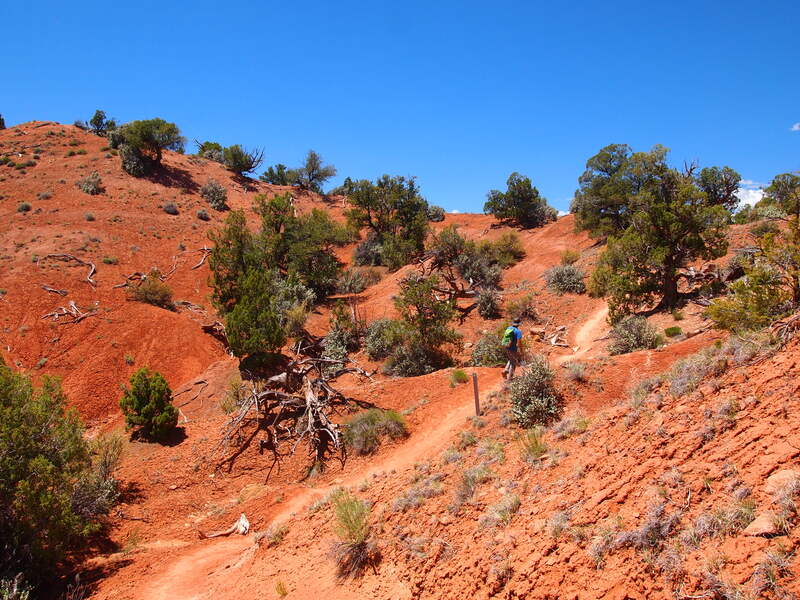 The trail was entirely exposed, and even with temperatures in the mid 70s and a decent breeze every now and then, it was still pretty hot. We were definitely grateful for any small spot of shade by the end of it. 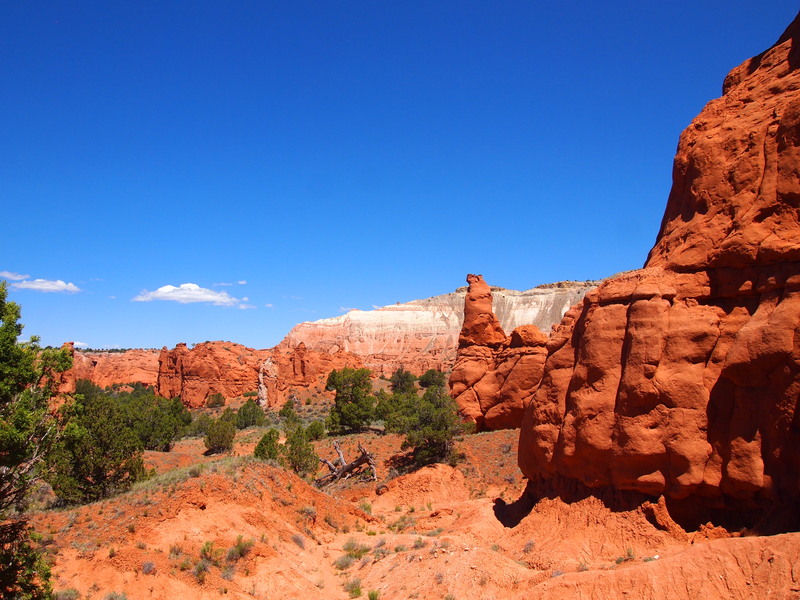 The first part of the loop took us past some of the park’s interesting geological features – several spires and hoodoos and other interesting formations in the sandstone. 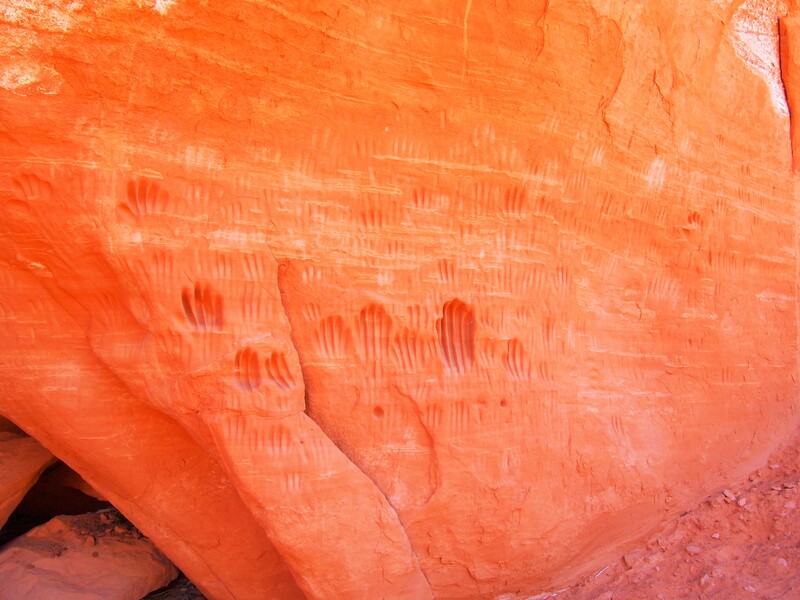 One of the first points of interest was marked as “Indian Cave.” Next to the opening there were what appeared to be handprints molded into the stone. There was no information about them and I haven’t been able to find any since, so I’m not sure if these impressions were a natural phenomenon or man-made. 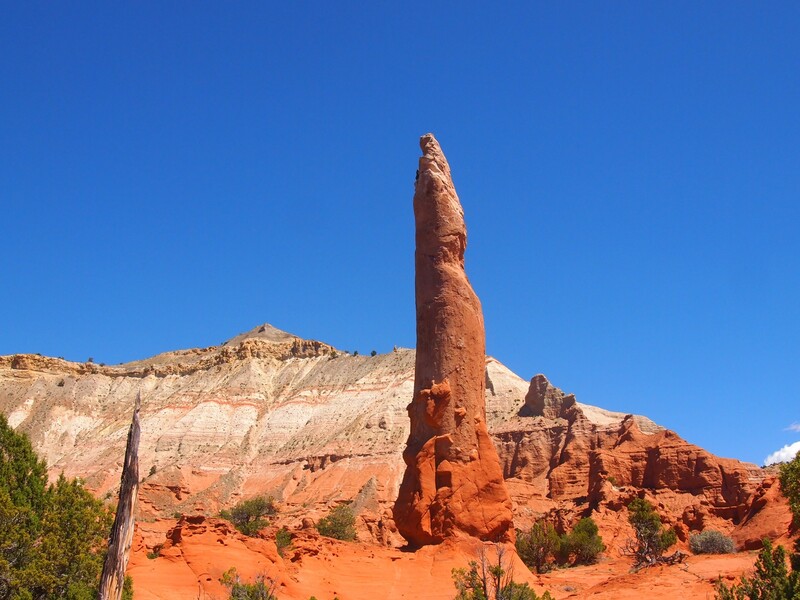 We also passed Ballerina Spire, a sandstone pillar which resembles the pointe shoe of a ballerina, and Mammoth Geyser, a wide sedimentary pipe. Were these impressions left by hands? The latter part of the loop is mostly dedicated to Panorama Point. 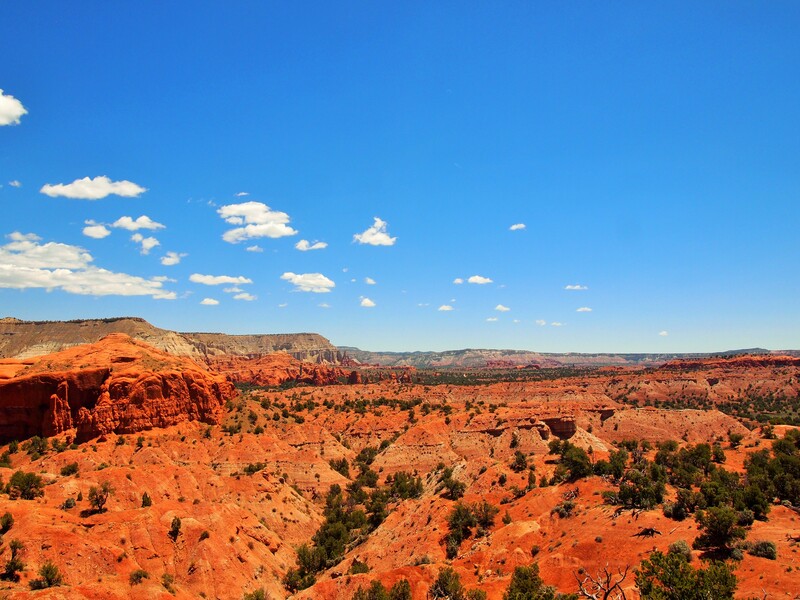 A junction offers hikers the chance to remain on the loop or do the extra couple tenths of a mile for the view. Parts of the path to Panorama Point are fairly steep so it’s certainly not for everyone. The final scramble to the point required some momentum but was worth it. From the top of the butte we had views in all directions; it was spectacular. From the point, we went back to the main loop and circled back to the parking lot. We were both hot and hungry by the end of it; a vision of a juicy bacon cheeseburger danced before my eyes. Sadly, my craving for a cheeseburger had to be met with a nectarine at the car. We refueled our bodies, stopped briefly at the visitor’s center, and headed back to Byway 12 to continue our journey home. 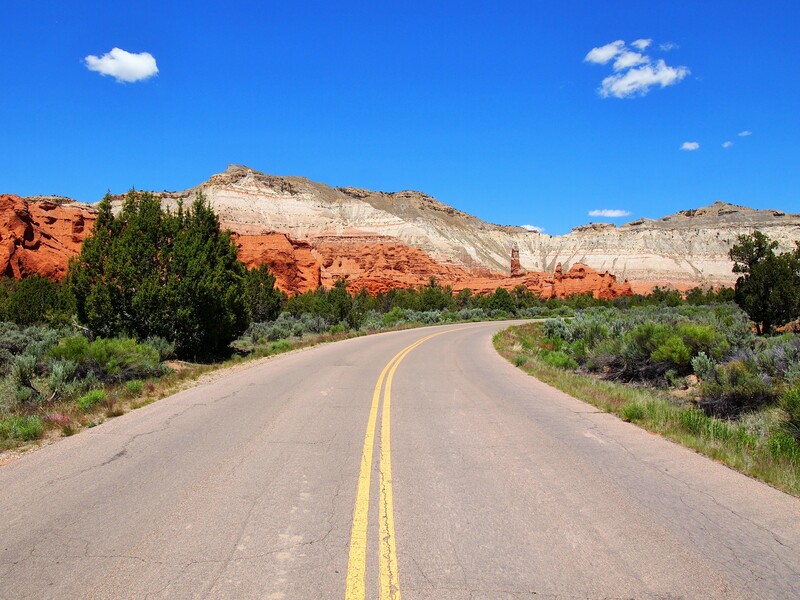 Kodachrome Basin was a great stop along Byway 12 and would be the perfect base for a few days. 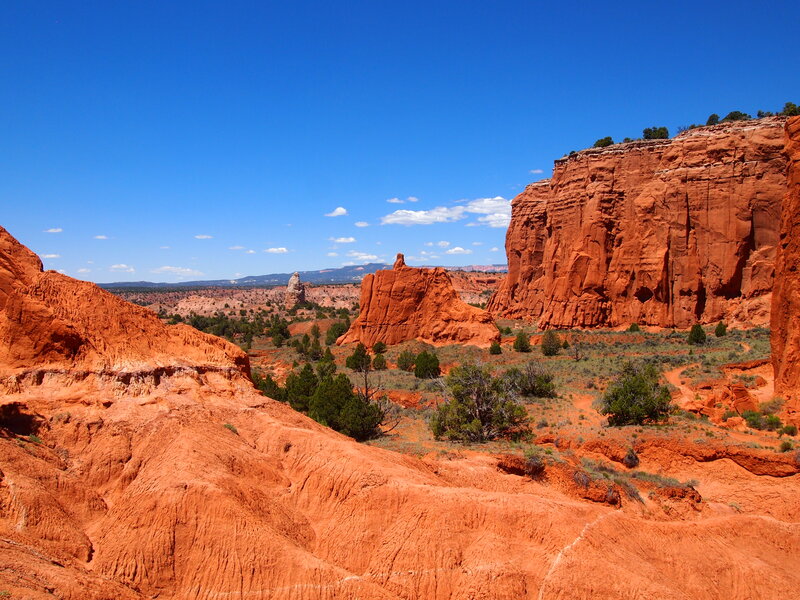 Though it doesn’t have the renown or bright pink hoodoos of Bryce Canyon, its more varied landscape was a delight. 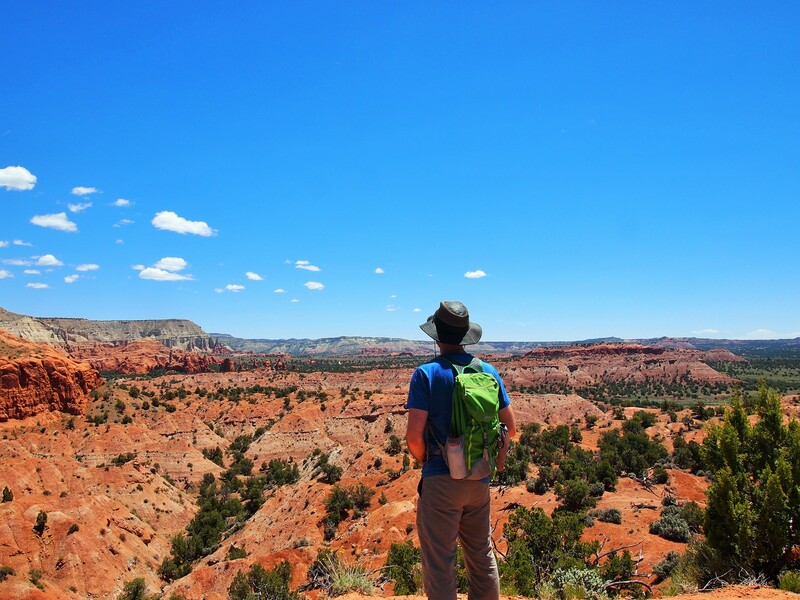 Plus, we saw only a handful of people on Memorial Day; it’s definitely a good place to avoid the crowds of Bryce Canyon. It just so happens I am nestled inside our tiny RV here at Kodachrome State Park, looking at travel pictures and your post pops up. Oh my, I loved your pictures. 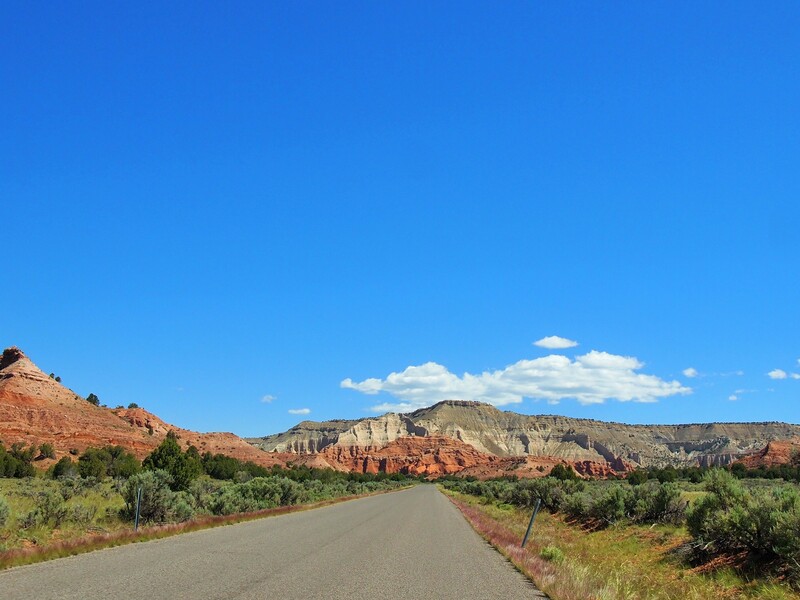 We chose this area as a home base for a few days to explore the surrounding area and so glad we did. Not sure if we will take the same hike you did, but you sure made it come to life for me. Oh wow, that’s awesome! I wish we’d had a little more time to spend there; what a great place to hang out for a while. 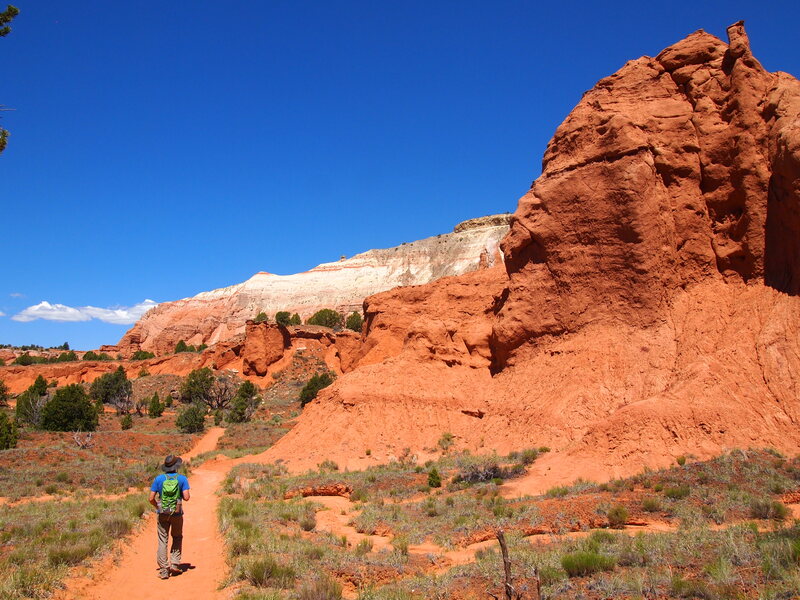 Utah is is a gem for hikers. Keep the photos coming.